With around 100 deaths and even more injuries, the population of this area is in great pain. In various municipalities 80% of homes were destroyed, and hospitals, public buildings, and roads were reduced to rubble. Most of the region’s electric system, in addition to the wells which were the main source of drinking water for residents, were also ravaged. Tens of thousands of people have lost everything and are now living on the streets in the middle of the rainy season. To date, the earth has not stopped shaking—not as strong as before but enough to perpetuate a climate of fear amongst inhabitants, and enough to cause houses and bridges to continue to collapse. On September 23, a strong aftershock killed and injured several more people. In the barrios and indigenous communities of Oaxaca, solidarity and communal organization are not only a necessity, they are also an ancestral collective practice and a political force marked by five centuries of resistance to (neo-)colonialism. 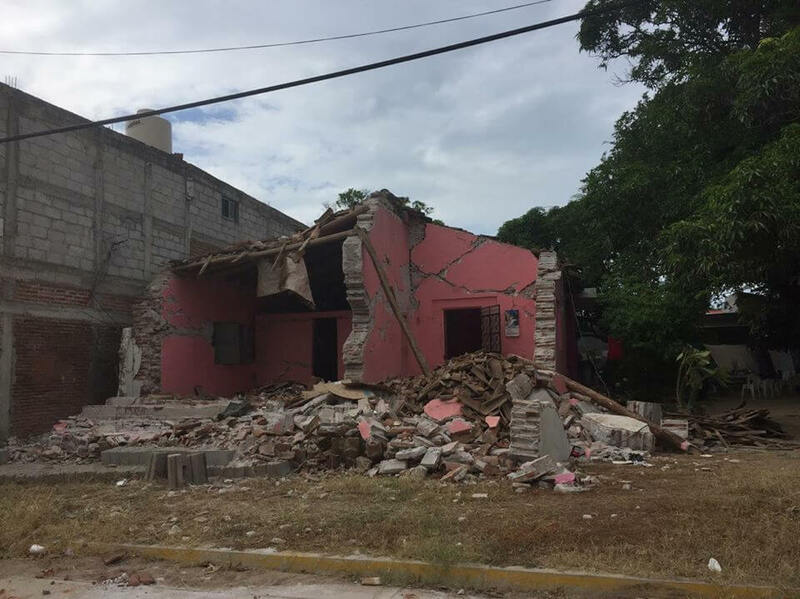 It is in solidarity with these autonomous efforts that we are organizing this fundraiser, which will support the cities and peoples who are fighting to rise up with dignity despite this disaster. Today, collective organization is indispensable not only in the face of government neglect, but also given the particular geopolitical context of Oaxaca. For decades, numerous transnational companies, principally from Europe and North America, have arrived to this region to extract minerals and produce electricity via enormous wind farms and hydroelectric dams. Moreover, the Isthmus region is about to be transformed into one of Mexico’s Special Economic Zones, which is to say, a zone of fiscal exemption for transnational companies that want to set up in the region, plunder its natural resources and exploit the local population as cheap labor. 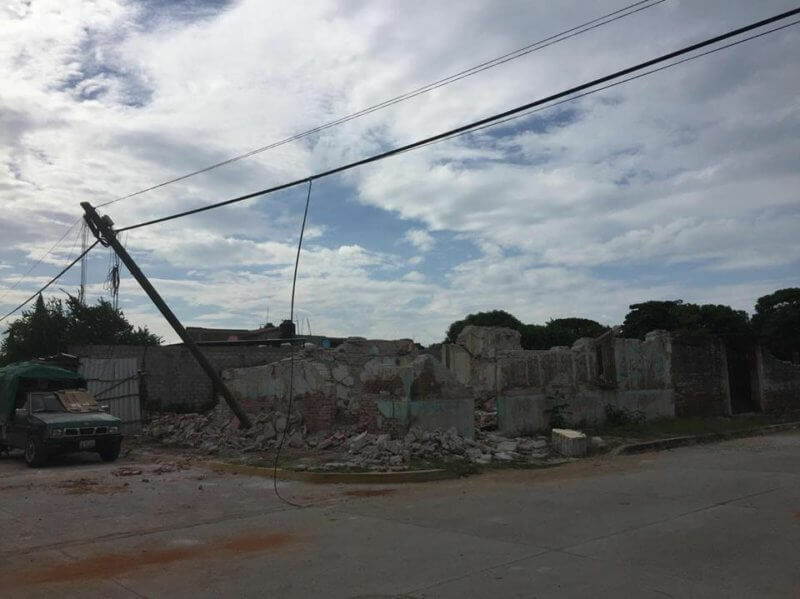 In fact, what little help has arrived to the Isthmus region following the earthquake has been delivered through these same companies or by the PRI, the main political party in power that is also primarily responsible for introducing these companies to the region. 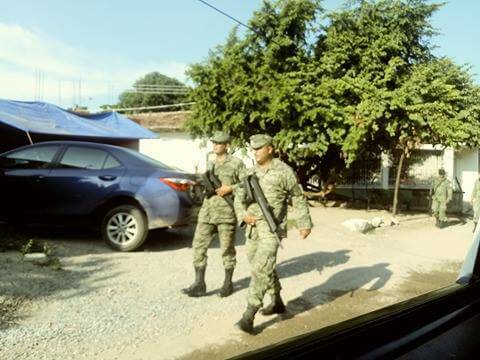 To combat the resistance of the people, which is an impediment to neoliberal and neo-colonial “development” in the region, the government has taken another measure: militarization. Hiding behind the mask of Plan DN-III, which regulates the intervention of the army in cases of disaster, around 2,000 elements of the Armed Forces have entered the Isthmus following the earthquake. The disaster didn’t start with the earthquake, nor does it end with it; it occurs in a context that is already extremely tense and violent, in which large transnational groups threaten to invade a region in order to exploit its natural resources, at the expense of the lives of the communities that live there. In light of this context, we know that solidarity is even more urgent.